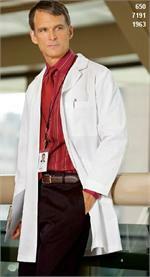 Scrubs Unlimited brings a comprehensive collection of 100% cotton lab coats in a variety of lengths and sizes. Whether you’re shopping for petite lab coats, plus size lab coats for women, big and tall lab coats for men, or long lab coats for men and women, you’ll find them in our unisex collection from the best brands in the industry. Our cotton lab coats come from Landau, Fashion Seal, Meta, and Angelica by Medline, with each offering unique features including cloth buttons, side hand access, patch pockets, inside pockets, pen pockets, and more. 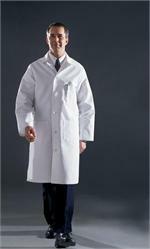 Meta lab coats are available in 38”, 40”, 42” and 43” lengths offering the fit you prefer or the fit your job requires. Landau lab coats are often chosen for their knot buttons and top quality look and feel, which offer a polished, professional look and feel. 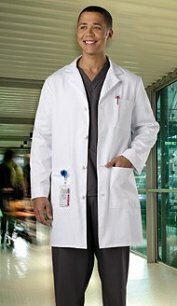 For something crisp and clean in a heavyweight cotton, be sure to check out our discounted Fashion Seal lab coat in style 423. 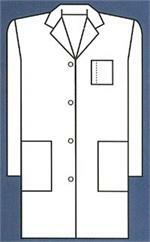 These Sanforized cotton lab coats are specially treated to resist stretching and shrinking like none other.